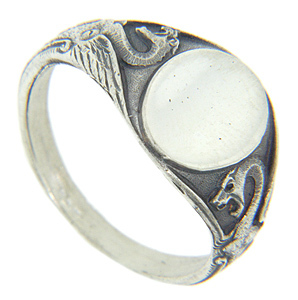 Winged dragons ornament the shoulders of this sterling silver signet ring. 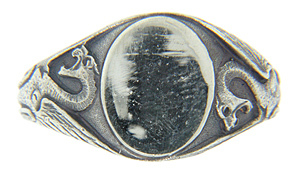 The ring measures 12mm in width. 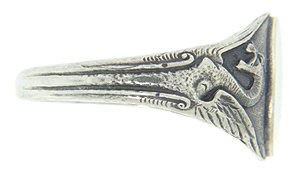 Size: 8 1/2. We can resize. 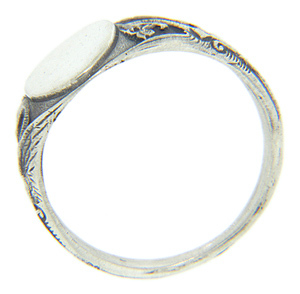 The ring is also available in 10K, 14K and 18K white and yellow gold as well as platinum. Prices depend on current market prices.